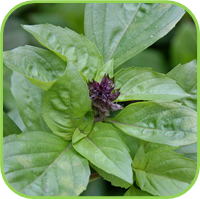 Extremely aromatic soft mid green leaves make this the most popular Basil of all. The summer salad must. Pinch out the flowers to maintain bushy leafy growth. Very frost tender. 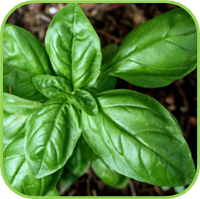 Basil plants are gross feeders and need plenty of organic fertilizer. 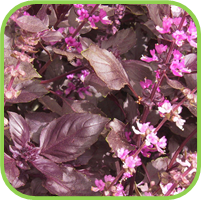 A very attractive plant with spicy scented deep purple oval leaves with clusters of pink flowers in summer. 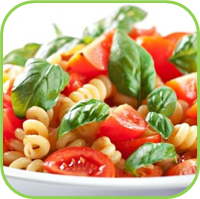 Use the leaves in salads, sauces and with pasta and rice dishes. Frost sensitive. 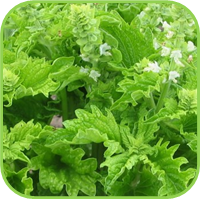 Large, highly aromatic leaves with spikes of white flowers from early spring to late autumn. Leaves can be used in cooking wherever a basil taste is required. 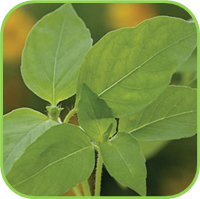 Its cold hardy nature will ensure the availability of basil right through winter. 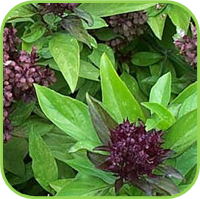 A neat, upright plant with medium sized leaves, beautiful clusters of purple flowers. 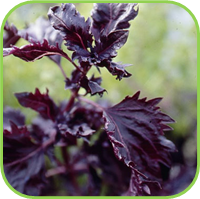 Large, serrated leaves, interesting texture and colour for salads or garnishing. Columnar, upright growth habit. The small, soft leaves have an intense taste. Ideal for cooking and fresh use. Shrub. H:80m W:80cm. 12cm, 17cm. 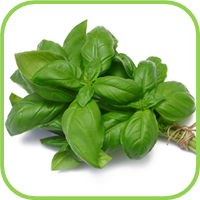 Basil is used for pesto's or to decorate your food and can be used in a variety of dishes, pasta's, chicken and kebabs. • Needs protection during winter. 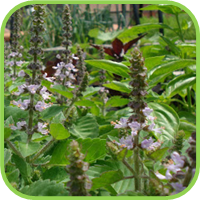 Cover with frost cover or move to a more protected area if planted in a container. 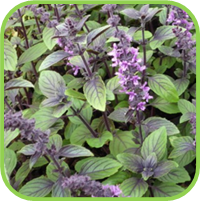 These varieties will give you basil flavour and fragrance in winter. •up to 1.5m, Spread: up to 1m. 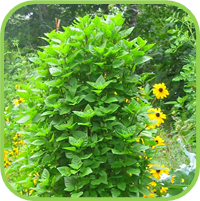 • Remove the flower heads regularly to encourage leaf growth and a more compact, bushy plant. • Do not plant with: Rue. • Seeds soaked in water make a refreshing drink. • Steep a few leaves in wine for several hours as a tonic. • Antiseptic, Rub on insect bites, and stings to relieve itching. • Made into a cough syrup with honey and taken as an infusion for colds. • Against Bacterial infections and intestinal parasites. • Fly repellent. The Mexicans rub the leaves over horses and blankets to keep insects away, especially the perennial basil.